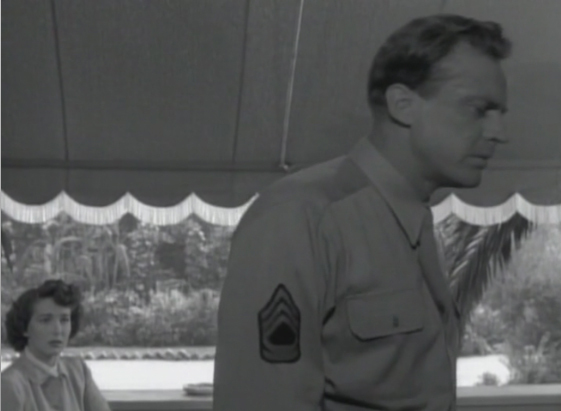 Arthur Kennedy is Larry, a soldier who is suddenly blinded by a sniper's bullet during WWII. In a flash, his longstanding plans of marrying his high school sweetheart (Julie Adams) and joining her wealthy father's business are plunged into doubt. 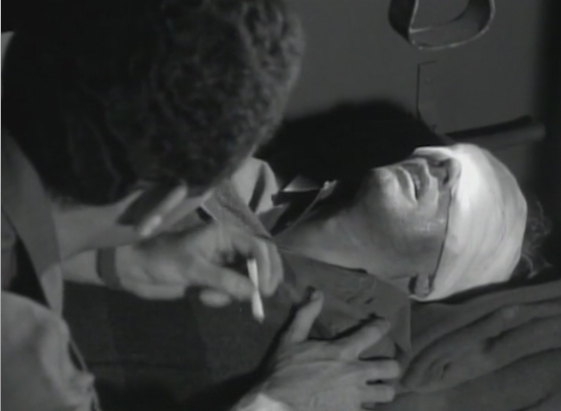 The film takes the viewer through Larry's rehabilitation and training with other blind soldiers as they learn to adjust to a sightless life. 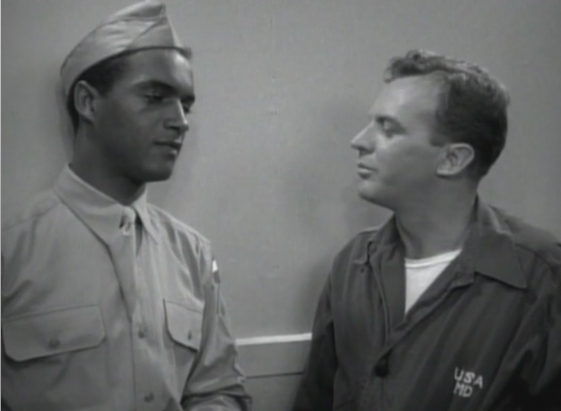 One of the men, Joe (James Edwards) is black and becomes Larry's best buddy, until Larry - a southerner & lifelong racist - makes a bigoted remark that tears their friendship asunder. This causes Larry to confront himself for the first time regarding the value system he was raised with. He meets a sympathetic young woman, Judy (Peggy Dow), who falls for him but has to let him go to the life he has back home. But when Larry returns to his family, he finds that because he's changed, the world around him has changed, too. 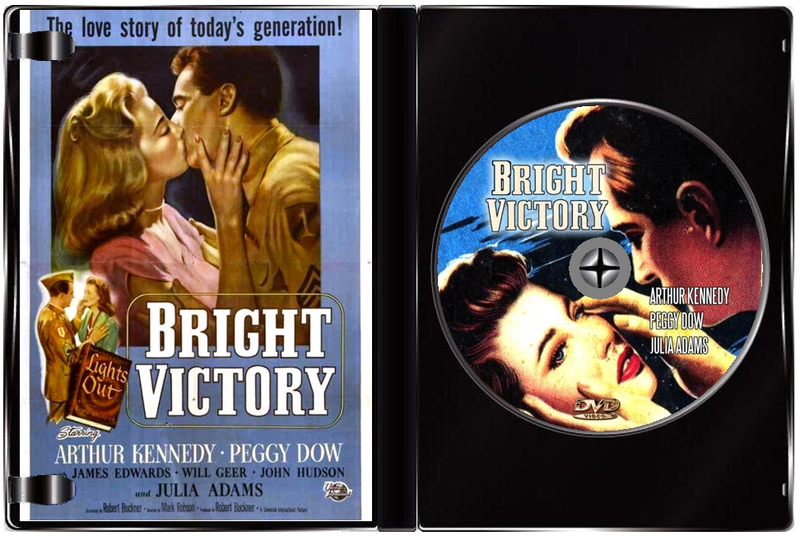 For a 1951 film, Bright Victory was years ahead of its time and in spite of taking place during WWII, the movie still holds up today because of the ongoing conflicts in the mid-east and the problems facing so many injured vets at home. We are given an extra dimension by having a hero who is not only blind but a racist as we follow him through an Army hospital where the young soldiers who all have to come to terms with the fact they will not be able to see again in their lives. It's a credit to its director and screen writer to fully confront us with so many issues in a totally mature and stark manner. In addition to the intelligent and provacative script, it is a great performance from Arthur Kennedy (who earned an Accademy Award nomination for this film) that makes Bright Victory especially appealing. Peggy Dow, as the compassionate young woman who volunteers in entertaining the wounded soldiers, is a welcome presence in the film. Mr. Kennedy and Ms. Dow made the film even better because their no nonsense approach to the portrayal of these two souls that find one another in the worst possible circumstances. 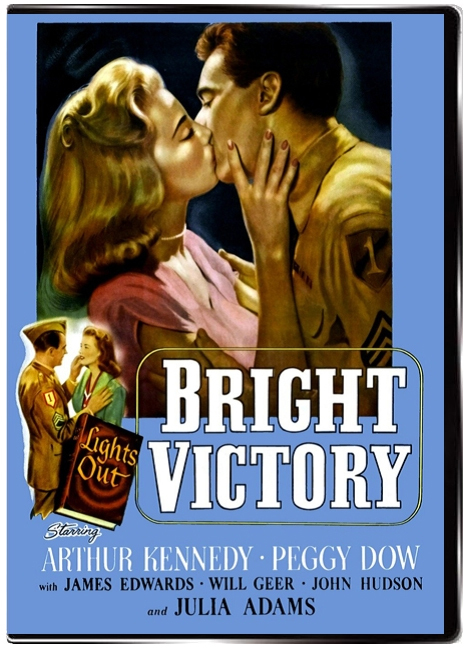 The movie also presents in smaller roles actors that went to have careers of their own - Will Geer, James Edwards, Jim Backus, Richard Egan, Murray Hamilton, Rock Hudson, and Jerry Paris play as part of the ensemble cast gathered for "Bright Victory".